UBC began on 21 March 1993 at a time of political turmoil over the activities known as “WA Inc” which culminated in the fall of the Labor Government, led by Carmen Lawrence, on 6 February 1993. The initial member groups of the UBC were mostly local friends groups who had formed to fight proposals by the Government to develop housing estates on some important areas of urban bushland and wetlands. Many of these areas had been recommended for conservation in the System Six Report of 1993. 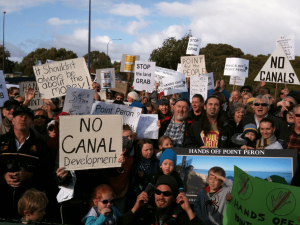 Campaigns were underway at that time against development threats in places like Hepburn Heights, Leda, Secret Harbour, Port Kennedy, Brixton Street Wetlands, Canning Vale and Southern River wetlands and the Perth Airport wetlands. These community groups realized the need to work together and to advocate for conservation through a peak body. The UBC was launched at a relatively relaxed and informal ceremony in Kings Park. The Foundation President, Jane Blake, set out her vision for the Council, explained why the UBC had been formed and called on Hon Reg Davies MLC to officially launch the UBC. Reg Davies was chosen for this honour because he was a hero of the conservation movement in the early nineties and had strongly supported local groups who were campaigning against the Labor Government’s plans to destroy bushland at Hepburn Heights and Alkimos. The UBC grew strongly in the nineties and under Mary Gray’s leadership has become the articulate advocate for urban bushland that Jane Blake had envisaged. Fast forward to 2018: Outcomes are still to be decided for so many other sites with ongoing community campaigns for their protection. The list includes sites such as Point Peron/Mangles Bay, Underwood Avenue bushland, Ocean Reef bushland, Dianella bushland, Farrall Road bushland/wetland, Alfred Cove and adjacent bushland, and more. 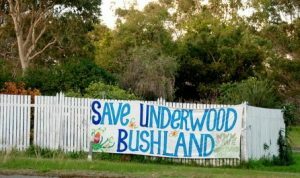 There is also a new bundle of threats to Bush Forever sites and significant bushland such as Banksia woodlands, Tuart woodlands, and other TEC’s, with Metronet proposals. Our Campaigns page provides detail of current campaigns.